I had a chance to interview Susan Tatum, B2B Social Media Business Strategist recognized in the B2B marketing playground. She agreed to share with us her vision of today’s B2B Social Media main challenges. You are specialized in social media marketing for B2B businesses, but what actually makes you specialized in B2B? What do you think is the difference between B2B and B2C? It might be more accurate to say that I am specialized in online marketing for complex sales. In other words – businesses that sell products and services where buyers have a multi-phased decision-making processes and often there are many people involved in the buying decision. This tends to be uniquely B2B. It differs from a transactional sale where the purchase decision is low risk, made relatively quickly and where the quantity of leads and prospects is often more important than quality. So the approach is quite different from B2C. 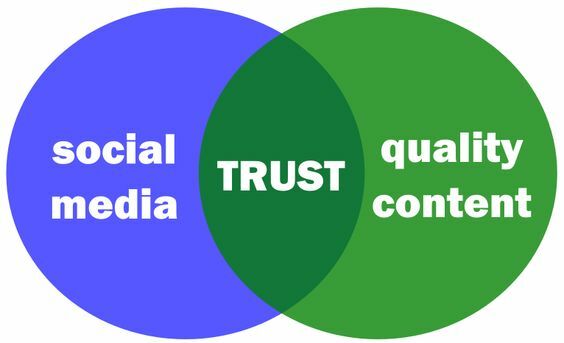 In the complex B2B world, we have to educate and build trust over time. In this situation some social media networks (not all) are good for generating awareness, initial connections and ongoing engagement. At some point though, the relationship has to be moved offline and into phone calls and possibly face-to-face meetings before a sale is finalized. Please describe your history with social media? How did you realize that there was a potential in social media marketing to increase B2B sales? Do you honestly believe that SMM can generate sales? I’ve been a marketer all my life — always B2B and mostly tech. I watched social media for many years before I got involved in it. I recognized that it was substantially changing the way people communicated – at least in the B2C world, and I felt sure it would change B2B at some point so I kept an eye on it. About 6 or 7 years ago I saw LinkedIn morphing from a mostly job site to an online networking site for business people. As a communication person it was obvious to me that LinkedIn had the ability to replace or enhance “live” communication in the beginning stages of a sale. I experimented with it and found that I could identify and connect with people I would have difficulty reaching by a cold email or phone call. Back then, the only people I could find who were running successful lead generation programs on LinkedIn were focusing on internet marketers and “solopreneurs”. I contacted them to learn about their process and together we refined it to support complex sale situations. I am 100% positive that social media can NOT generate complex B2B sales. The buying process just doesn’t work that way. 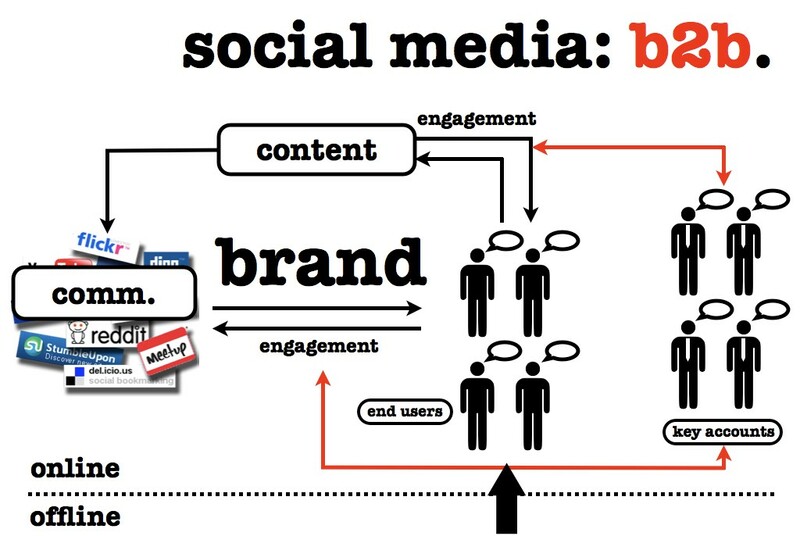 B2B companies need to understand that social media is just another business tool for generating awareness and getting the initial connection. It’s one that happens to be working very well right now (Sorry, I know you wanted to disagree with me…). If you’re asking me about a B2B sale that is low cost and doesn’t require a sales person, it’s possible that social media can generate the sale. Let’s say you’re selling a $15/month CRM with no extended commitment. I know for a fact that you can use it to drive people to a landing page to sign up for that CRM. But you’re going to need a different kind of support to ensure that person continues to use and pay for the app. Not really my area of expertise though. What do you think will mainly evolve in the next 10 years in terms of SMM usage in a B2B context? I feel safe to say that in ten years social media will look nothing like it does today. It will change in ways that I can’t even begin to imagine. Technology assures us of that as does the communication needs of our buyers. In the shorter term I believe there will be significant changes in the landscape, with many more tightly focused networks emerging – or technologies that provides better control. Today’s massive networks are not able to filter content and communications to keep out the irrelevant and the spam. We’re already seeing a reduction of lead generation effectiveness on LinkedIn within the technology industry — or I should say the old tactics no longer work as well and new tactics are needed. We continue to develop and refine our processes to keep up with the changes but many people don’t. Part of the reduction in effectiveness is being caused by sales and marketing people who are jumping onto the network with overblown expectations and without understanding how it really works. Some of the blame lies with so-called social media experts who are recommending “best practices” that they know nothing about. Another part of the blame lies with social media automation technology, which makes it too easy to blast out the same message to everyone everywhere. This is jamming up LinkedIn with a lot of useless crap. I hope that technology will give us the ability to go back to more one-on-one type of communication. Follow Susan on Twitter now! PreviousPrevious post:B2B Book Review #1: “Driving Demand” from Carlos HidalgoNextNext post:“B2B Disruptive Marketing”: another empty concept?